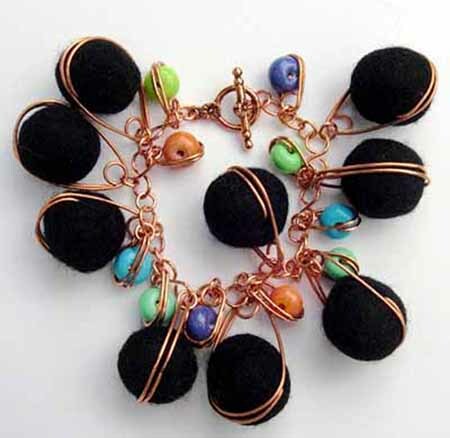 Felt beads, handmade flameworked beads, copper wire, copper jump rings, toggle closure. All kits are One of a Kind. Please email for color requests or photos of current kits available. 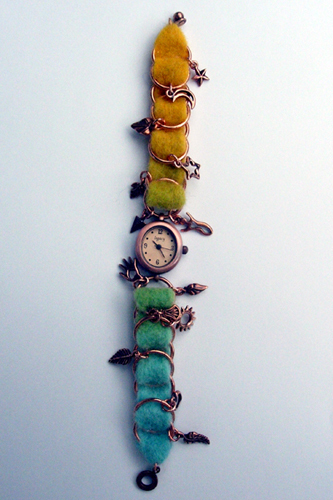 Hand dyed roving, copper jump rings, assorted copper charms, copper watch face, clasp, foam, felting needle. Since the roving is hand-dyed, colors will vary. Please email with specific color requests, or to see current kit colors. 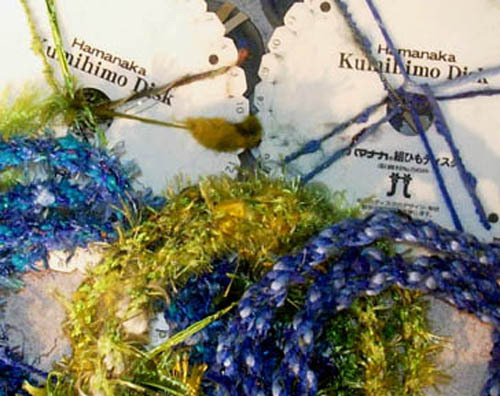 Kumihimo disk, 8 bobbins, 2 cord ends and clasp, weight, detailed instructions with plenty of photos.